FLIR offers the A6700 MWIR thermal imaging camera with a cooled InSb detector designed for high speed image acquisition up to 480 Hz. Synchronization with other instruments and events enables the capture of minute details, and available custom cold filtering options allow specific spectral detection and measurement. It is ideal for imaging through glass, measuring temperature of thin film plastics, laser profiling and detection, and optical gas imaging. The A6700 MWIR imager operates in the 3.0 – 5.0 μm waveband, or as a broadband model, in the 1.0–5.0 μm waveband. Both versions achieve a high thermal sensitivity of <20 mK and can produce 640 x 512-pixel thermal images. Additional features include fast integration times, standard video interfaces, and flexible software compatibility. 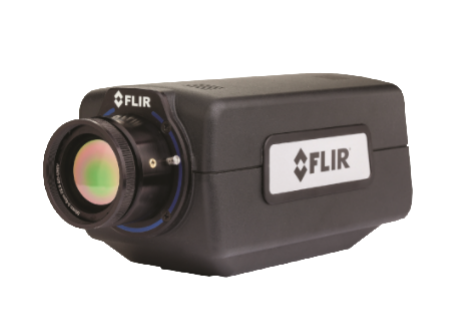 For additional features and specifications on the FLIR A6700 MWIR imaging camera, download the datasheet.